Until about a year ago I hadn't really been so much into make-up. I was a total rebel and a punk in high school, I would wear the same clothes all the time (most of them black) and all I had on my face was a bit of moisturized and maybe some mascara. Lip gloss if I was feeling extra adventurous. It slowly started changing when I went to university. I started experimenting with liquid liner, powder and blush and that was enough for me for a really long time. So I thought it would be a nice idea to show you what I items I have been loving for a while now - I just slowly build around them, they are always in my make-up bag. I have combination skin so a good powder is a must for me. 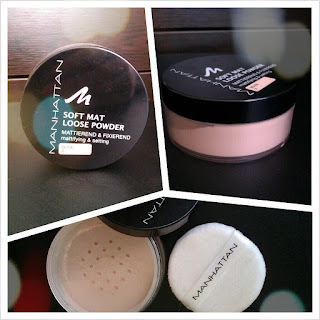 The one I have been using the longest is Manhattan Soft Mat Loose Powder. It gives a tiny bit of coverage, but if you have anything to hide I think it might not be enough. I just like the finish and the fact that it lasts for hours. 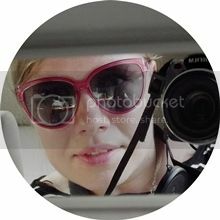 I believe there are 4 shades (at least that's how many I have seen in my drugstore), I use the lightest one in the winter and then the second lightest (in the picture) in the summer, but as I said - the coverage is not even medium, so it always looks natural, even if you pick the wrong shade. It's huge (20g), lasts forever and I buy it in Poland for about 7€ (27-30zł). 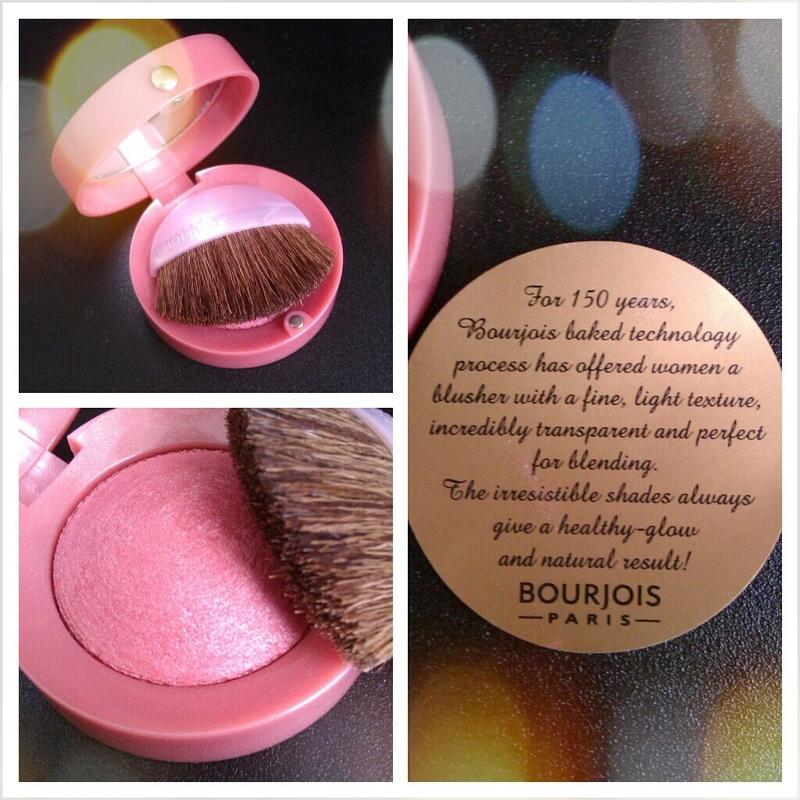 Bourjois blush is yet another staple of mine. I've tried multiple colours and my recent favourite is Rose de Jaspe. It is a deep powder pink with a bit of golden shimmer to it. I love it because it's quite sheer so I can use it with a light hand and look it looks natural, but I can also build it up and make it more distinctive. The shimmer makes it perfect for the summer – it's delicate (and absolutely not glittery!) but looks amazing in the sun. Obviously you don't need to use a highlighter when using that exact colour (but there are many to choose from, just check the official Bourjois website). And the smell! I love the smell of it! The liquid liner I mentioned above is by Miss Sporty in 002 Dark Chocolate (which as far as I know is owned by Rimmel, because I've seen exactly the same liners on their displays). It was my first liner and I still love it. Unfortunately they changed the brush recently and introduced a very weird (kind of) felt tip. I kept the brush from the older version, but if I didn't have it I would probably have to find a new favourite. Either way it's worth a try since is really cheap (around 10zł/2,5€) and the quality is amazing – it stays put all day long and doesn't smudge. 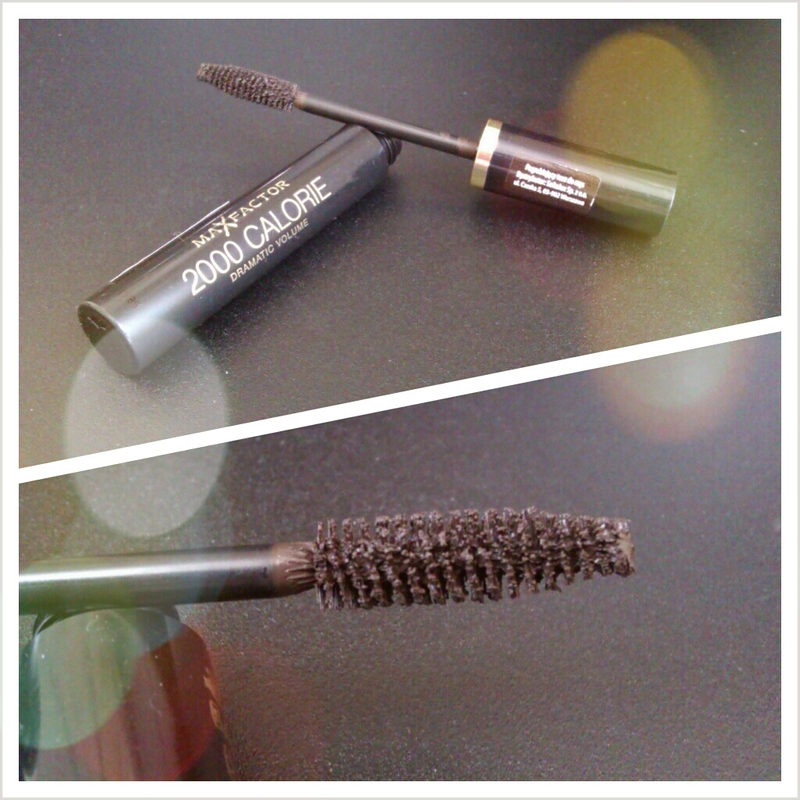 Max Factor 2000 Calories is by far my most favourite mascara. 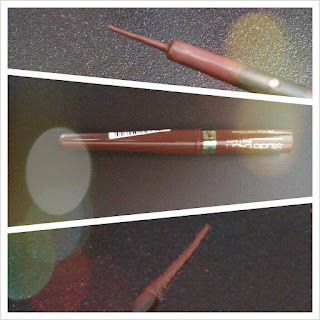 It makes my lashes super long and voluminous. I have gone through countless tubes of it. I always use black/brown mascara since I think black looks a tiny bit too harsh on me (I have fair hair and blue eyes). 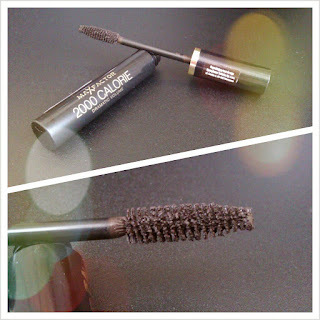 It doesn't smudge and even though no one promises that I think it also curls my lashes a bit. I absolutely love this mascara. It used to be quite pricey, but now when I buy it in Poland it's around 25-30zł (again around 7€), so I love it even more! What are your favourite make-up items that you just can't live without? Do you have anything that has been with you for ages?